The M250 was initially released in 1985, likely the black variant first followed by several colored models. These pens are the same size as the M400 which was reintroduced that year as well. They are distinguished from the M200 by their 14C-585 nibs. There are two trim variants of M250, depending on the year of release. Pelikan restyled their trim levels in 1997 resulting in pre-’97 and post-’97 trim variations. The pre-’97 pens are distinguished by a derby cap top, gold colored trim, absence of a trim ring on the barrel, and two cap bands. The only exception to the pre-’97 absent trim ring on the barrel is the tortoiseshell brown which has a thicker than usual trim ring at the piston knob, similar to the old style M600’s. The post-’97 pens have a crown cap top, gold colored trim, trim ring at the piston knob, and a single cap band. This model line was discontinued in the early 2000’s (circa 2005). 1.20ml ink capacity. *Multiple variants are known to exist. The official variant has a logo cap top and two cap bands which is standard for the pre-’97 trim. There is also a version known to exist that is without the logo cap top. These pens have a * or + on the cap top owing to the injection molding process. A similar variant is also encountered with a single cap band though it is unclear if this was an official release by Pelikan. **1997 special edition release for the Levenger company (official). Old-style M600 trim ring at the piston knob with an M200 derby cap (no trim ring on the section). A non-Levenger tortoiseshell brown M250 release also exist. *** Tortoiseshell brown version with a derby cap top, single cap band, and no trim ring at the piston knob. It is identical to the M200 pre-’97 tortoiseshell brown except for a 14K nib. This pen was made for a German department store. Also note that there is rumor of another M250 brown tortoise in the standard M25o trim style (derby cap top, double cap bands, no trim ring at the piston knob) which cannot be verified by the Pelikan archives. † In 1998, Pelikan gave employees of Pelikan’s Vöhrum manufacturing plant a Snakeskin patterned set of R200 and K200 pens. In 1906, administration and production space was moved to Hannover on the Podbielskistraße. In 1973, the facilities on the Podbielskistraße could no longer be expanded. Production of fine writing instruments was moved to Peine/Vöhrum, near Hannover. The cap engraving marks the 25th anniversary of that move in 1998. 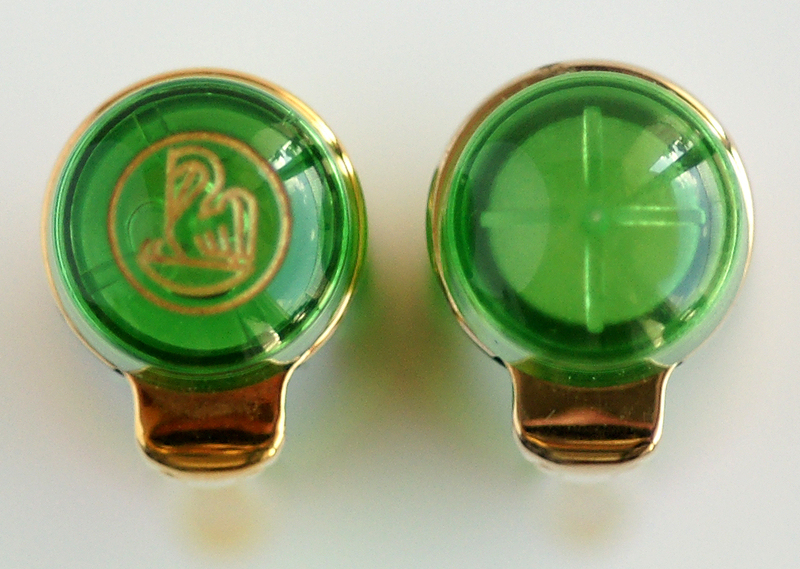 The cap is engraved with the Pelikan two chick logo and the phrase “25 Jahre Pelikan, Peine – Vöhrum 1998” which tranlates to “25 Years Pelikan, Peine -Vöhrum 1998.” A fountain pen was not provided to the workers as part of the set. Given the mash-up of pieces seen here, this is likely something that was put together by one of the workers who wanted a fountain pen. This model has a pre-1997 M600 piston knob & barrel with a pre-1997 M250 cap. The nib is 14C-585 monotone gold from an M250. The sets themselves were very limited production and not for sale to the general public. †† Pre-’97 limited edition release. Features a nib-on-a-chain in place of a shirt clip on the cap. Released in order to reduce an overstock of nibs. Can also be seen on some ballpoints as well as other color variations in the M2xx line but is predominantly seen on the blue marbled M250. *Special edition release for the Levenger company, identical to the M201 with the exception of the 14C-585 gold nib.